The Giant Mekong Catfish is also know as: Pa beuk, Pla ma fai, Pla buk, Pla hua kum hang hum, Cá tra dầu and Trey reach. The Giant Mekong catfish is one of the largest freshwater fishes in the world. It can be found in the Mekong River Delta, in Laos and Cambodia. The species could earlier be found in Thailand but is believed to have been driven into extinction in those waters. It is dangerously close to meeting the same destiny in Laos and Cambodia where their numbers have sunken dramatically and especially large mature specimens are today very rare. The giant Mekong Catfish is listen on the critically endangered list in CITES. The reasons behind the predicament the Giant Mekong catfish is facing is over fishing (it is consider a delicatessen) as well pollutions and destroyed habitats. Several initiatives are taken to try and save this magnificent species. There have been attempts to harvest the eggs and sperm of this fish to raise the fry in captivity and later release them but these attempts were unsuccessful as the fry died. A fact that isn’t directly connected to the preservation work but worth noting is the fact that Giant Mekong Catfish has been successfully introduced as a sport fish to a number of lakes in Thailand and these populations can become a reservoir for this species if the situation in the Mekong delta continues to deteriorate. Giant Mekong Catfish has one of the fastest growth rates of any fish and can reach a weight of 200kg/ 440 lb in 5 years and can grow to a length of up to 3m / 10ft and can weigh upwards to 350kg / 770 lbs which makes it on of the heaviest freshwater fish in the world. No one knows for sure which freshwater species grows to be the largest although many speculate that it might be giant freshwater rays that are found in the same waters as the Giant Mekong Catfish and are know to grow over 4 m / 13 ft long. 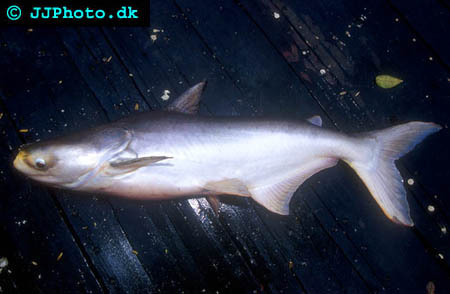 Large Giant Mekong catfish are however as earlier mentioned a rare site these days. Giant Mekong catfish are unlike many other large catfish vegetarians in the wild feeding on the vegetation that can be found in the rivers they live in. Another feature that separates them from many other large catfish is the fact that Giant Mekong Catfish lacks teeth. Giant Mekong catfish accepts most food sources in captivity giving up there natural vegetarian lifestyle. Giant Mekong Catfish are not really suitable for aquarium due to several reasons. The first being the fact that they grows to immense sizes and grows very fast which means that you would need a very, very large aquarium to keep one of these fishes in aquarium. Another reason is the fact that they are critically endangered and very sensitive in aquariums. If you despite this were to host a Giant Mekong Catfish (we strongly advice against it) in an aquarium it would need to offer large open areas for swimming as well as planted areas which is essential to make this very nervous fish feel at home. Please not that these plants will be eaten but are none the less important to provide. Eaten plants should be replaced with new ones. It is relatively accepting in regards to water temperature and will accept water temperatures between 20-28°C/ 68-82°F. pH levels should be kept between 6-7.5. Giant Mekong Catfish should only be kept together with other large timid species and never be kept with aggressive species. 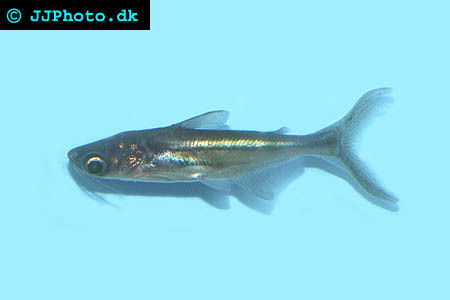 Juvenile Giant Mekong catfish – Pangasianodon gigas.